Ground floor: Open plan kitchen (oven, dishwasher)/dining/living room (TV, DVD, CD, A/C, WiFi). Cloakroom. First floor: Double bedroom with door to pool area. Double bedroom (continental bed). Shower room (washing machine). Outside: Enclosed grounds with covered and open dining terraces, inbuilt barbecue, terraced garden and summer house. Private swimming pool (7.5m x 3m). To the south of the unmissable UNESCO World Heritage Site of Dubrovnik lies the scenic and unspoilt Konavle valley. Peppered with vineyards, pomegranate shrubs and towering wild cypress trees, it is edged on one side by craggy hills and on the other by the crystal-clear waters of the Adriatic Sea. Nestled at its southern end, close to the border with Montenegro, lies Starina Mala, tucked away behind stone walls in the hamlet of Vitaljina. A spacious covered dining terrace wraps itself around two sides of the cottage, punctuated at one end by an impressive inbuilt barbecue, creating the perfect space for outdoor dining and relaxing. From this convivial spot, step inside and you will discover a contemporary interior behind the traditional stone walls. The ground floor is given over to a bright and fresh open plan kitchen/dining/living space, the white walls given a splash of colour by modern artwork. Two bedrooms and a shower room can be found on the first floor, with one of the bedrooms also having access to the pool terrace. Throughout, the quality and attention to detail is high. Local stone has been used to great effect, enclosing the property to create a sense of privacy as well as edging the terraced lawn which is dotted with interesting plants, trees and colourful pots of flowers. The stone has also been used for a fabulous summer house, on the lawn just below the pool area. Prevlaka beach, on the peninsula, is a short drive away (5mins), where the waters are crystal clear and there is a beach bar open during the summer so you can enjoy a refreshing drink. The charming fishing village of Molunat (10km) offers a fine shingle beach, a couple of restaurants and a small store. A wider choice of amenities can be found in Gruda (15km), surrounded by vineyards and orchards. Further on lies Cavtat (30km), a strikingly pretty coastal town, from where you can take the ferry to Dubrovnik. Alternatively, visit another country for the day. Pop across the border into Montenegro and explore the town of Herceg Novi (15km), known for its abundance of mimosa trees and tropical flowers. This is also offered from Kojan Koral in Popovici. The half day tour runs to Cilipi for a visit to the traditional Konavle house there and continues through the Konavle countryside crossing the river Ljuta a couple of times before picking up the route of a disused railway line and returning to base for a traditional Croatian snack. Housed in the main square in Cilipi, in a building that used to be the village treasury, this is the recreation of a typical village house from back in the day. The collection holds about 500 items such as folk costumes, embroidery and other textile handicrafts, jewellery, musical instruments, arms and an assortment of everyday items. Important socially and culturally to the people of the Konavle, this is fundamental to the region. You will see examples displayed in public buildings and private homes either ornamentally or in practical usage such as tablecloths, napkins, pillow cases etc. And of course you can purchase the embroidery in local shops! On a Sunday morning after Mass, sit on the steps of the church of St Nicholas in Cilipi and watch the locals in traditional dress, noted for its silk embroidery, performing folk songs and dancing. A market is held afterwards selling traditional handicrafts. Recently reopened to the public after a painstaking 50 years of renovation, this fort was built to protect the hinterland from invading Turks from the Ottoman Empire and the Venetians of the Venetian Republic. There are several marked cycling trails in the Konavle region which offers both flat routes and hilly/mountainous ones. Bikes can be hired by the day from a number of organisers in Cavtat. Make a day trip to Dubrovnik… Of course, there is much to choose to do here but a walk around the old town walls is highly recommended to get a feel for the old city, for orientating yourself in the town and for some wonderful views (charge payable). Please note that parking spaces are at a premium, so we recommend you arrive early in the town and make a day of it. For a different perspective of the city try the open-top Cabrio Bus City Tour hop-on hop-off service. This covers more of the modern city which gives a better overview of Dubrovnik from many differing viewpoints. This vast monastery was founded in 1429 after the region of Konavle became part of the Dubrovnik Republic, with construction continuing for many years. It’s located below the Rector’s Palace, the seat of Dubrovnik’s Prince in this part of the Republic. The huge plane tree in front of the monastery was planted over 200 years ago. This is the childhood home and museum of Vlaho Bukovac (1855-1922), the most important Croatian artist of his time. 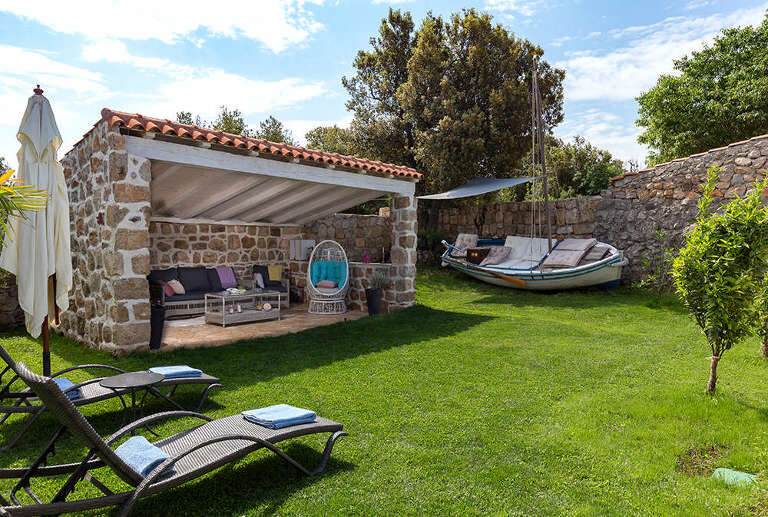 The building, a stone structure over 2 floors with an entrance courtyard and spacious back garden, preserves the architecture typical of Cavtat houses from 1800. The interior features recently uncovered early murals by the artist himself as well as many paintings, drawings, furniture and personal items from throughout his life, covering periods he spent not only in Cavtat but also Zagreb, Prague and Paris. Just north of Dubrovnik is the pretty coastal village of Zaton. Formerly a popular dormitory town of Dubrovnik aristocracy and wealthy merchants, it features a number of Renaissance summer villas along its waterfront. These days it has a lazy, bohemian feel, with a number of galleries and one of the best restaurants in the area. A visit to Trsteno is worthwhile to view the remarkable Arboretum established there about 500 years ago. It is said that seafarers and merchants from here were encouraged to bring back plants, saplings and seeds from their worldwide travels to be planted in this botanic garden which of course have established themselves over the centuries. The entrance to the Arboretum is guarded by a huge 500 year old plane tree. Vitaljina is very close to the border with Montenegro so why not spend a day exploring another country? Discover Herceg Novi, a beautiful coastal town dating from the 15th Century. Stop here and have a spot of lunch and relax on the beach... or... carry on slightly further and explore the towns and spectacular views of the Bay of Kotor where there is a variety of smaller beaches. However, remember that here the currency is Euros, not Kuna! And don't forgot to advise the car hire company that you will be going to Montenegro. Take a day and visit the Kravica Waterfalls just over the border from Croatia in Hercegovina. These 25m falls cascade into turquoise blue waters over rocks and lusciously green trees, where visitors can paddle and swim and enjoy the incredible scenery. The natural pool is not very deep so it is ideal for little ones, but the crashing falls and the deeper water closer to the rocks also make for a great natural playground for adults. Head south to the penisula at the very end of Croatia. Prevlaka beach is about a 5min drive from Starina Mala, a pebbly small beach with crystal clear waters. During the summer, a beach bar is open for when you need a refreshing drink under the summer sun! The coastal town of Cavtat sits between the Konavle Valley and Dubrovnik. The setting is lovely, on the water's edge, surrounded by tree covered hills. Running along the harbour front is a palm tree lined promenade, backed with a lovely selection of cafes and restaurants. Choose one and then enjoy a relaxing moment with a coffee taking in the view. Arrive in Dubrovnik by boat.... there are a number of companies in Cavtat that provide a ferry serrvice to Dubrovnik, as well as offering sightseeing tours by boat. A fabulous way to take in the coastal scenery.